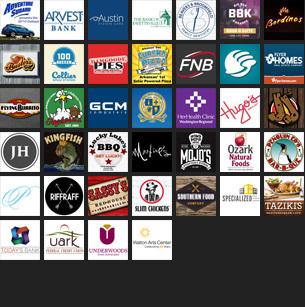 Fayetteville’s civil rights ordinance has cleared its first major legal hurdle. 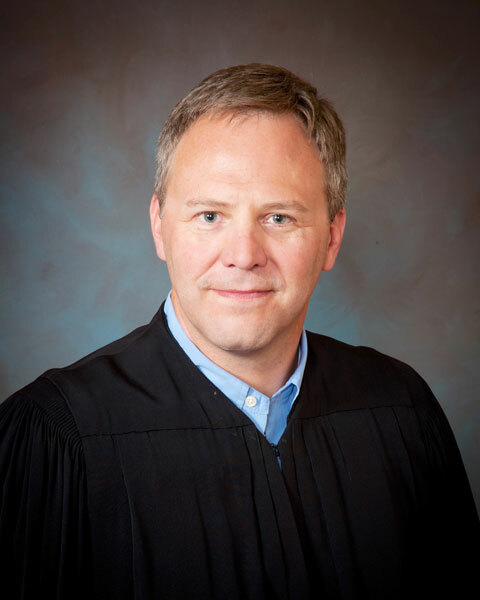 Washington County Circuit Judge Doug Martin ruled Tuesday that the recently adopted Uniform Civil Rights Protection ordinance does not violate state law. 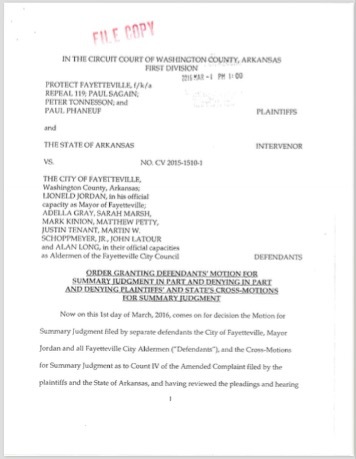 The ruling means Arkansas cities are not prohibited from adopting ordinances that protect the rights of LGBT residents, despite claims to the contrary from the Arkansas Attorney General’s Office and Protect Fayetteville, a group that has fought the ordinance since its inception. The voter-approved measure (Ordinance 5781) prohibits business owners and landlords from firing or evicting someone because of their sexual orientation or gender identity. Churches, religious schools and daycare facilities, and religious organizations are exempt from the new law. However, Judge Martin agreed with Fayetteville City Attorney Kit Williams’ argument that state law does in fact already mention both classes in several sections of the Arkansas Constitution, including policies related to anti-bullying, domestic violence shelters, and birth certificates. Williams said he’s happy with Martin’s decision, but cautioned that the battle is not over.